We are offering two sports broadcasting classes this summer: one for Announcing and one for TV production. 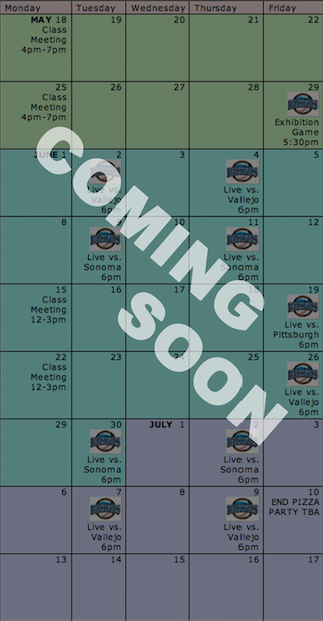 This summer, start your career in television in the best way possible - broadcasting Pacifics baseball games live to all of Marin County! Join the Community Media Center of Marin, and the San Rafael Pacifics for the most hands-on, real-life professional production training available to students in the Bay Area. All participants will learn camera operation, directing, multi-camera switching, on-screen graphics, scorekeeping, and audio mixing, while simultaneously providing live TV coverage of select baseball games to Pacifics fans. This is an extraordinary opportunity or any student interested in media production and live television! For our sixth year producing live baseball games, the San Rafael Pacifics were undefeated during our entire broadcasting season and became the first ever 3-Time Pacific Association League Champions!!! Catch all the excitement from the 2018 Championship season here. Our fifth year producing live baseball games. Catch all the 2017 games here. Our fourth year producing live baseball games. Catch all the 2016 games here. Our third year producing live baseball games resulted in seven live baseball games, and also saw the creation of a Youth Sports Broadcasting class for aspiring sports commentary students. The Pacifics successfully defended their title to repeat and win their second Pacific Association League Championship!! Catch all the 2015 games here. The second year of CMCM's Sports Broadcast Camp was an immersive live TV experience for 9 high school students. Together they produced 10 live baseball games played at Albert Park, home of the San Rafael Pacifics. The Pacifics went on to win their first Pacific Association League Championship! Catch all the 2014 games here. 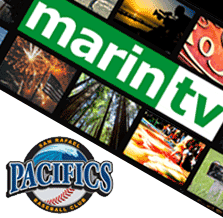 The 2013 season produced five Pacifics baseball games, all of which aired live on Education Channel 30. Catch all the 2013 games here. Further reading here and here and also Dominican University articles. The 2019 schedule will be posted below. Contact omid@cmcm.tv for more information. Stay tuned!